If you analyze the social media efforts of other businesses you’ll find insights to improve your own social media marketing. In this article you’ll discover four ways to research what your competitors are doing on Facebook, Twitter and Google+. 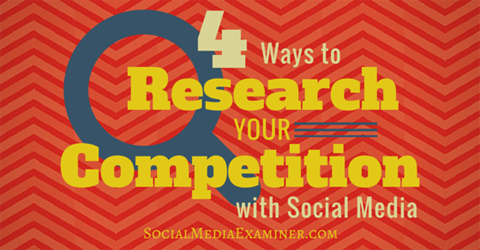 Discover 4 ways to research your competition with social media. 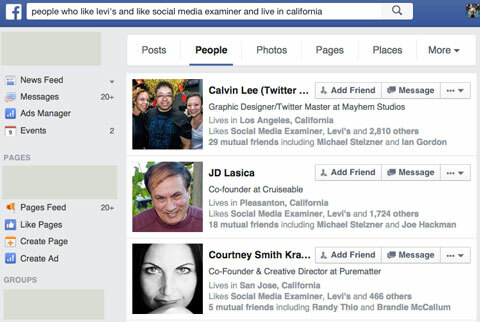 Facebook Graph Search is a great tool for finding out what’s working for other brands on Facebook. One way to gather useful information is to search for the interests of people who like a brand’s page. For example, if you’re researching Levi’s, use the search query “interests liked by people who like Levi’s,” as shown here. Find out what topics fans are interested in. Gathering this information helps you identify content that may resonate with your customers and prospects. Track different interests and identify people who share similar interests. Discover which groups fans have joined. 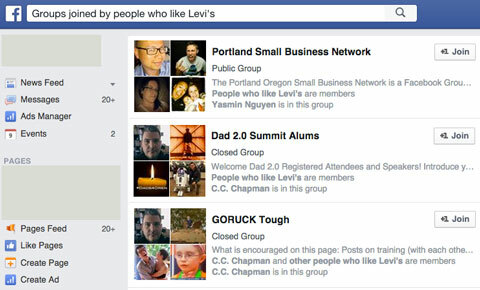 Now you can target Facebook groups to attract potential customers. Inbound marketing helps you do that. 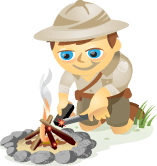 Participate in group discussions and offer solutions to other members’ problems. However, don’t post promotional content unless it’s beneficial to the group. Find connections between two brands. When it comes to Facebook Graph Search, the sky is the limit. Use as many combinations of search queries as you want to research different audiences. The new search tool also offers several tabs for refining your searches, as shown here. Use these tabs to refine your searches. You can use all of the information you gather to develop a potential buyer persona and target your ads more effectively. Fanpage Karma is a must-have tool for monitoring the Facebook activities of other brands in your industry. There are both free and paid versions of the tool available. To try out the free version, enter the name of the Facebook page you’re interested in and then click the Get Free Insights button. The results page lists a number of different metrics. Click the Times and Types tab to see the page’s posting pattern for each day of the week. 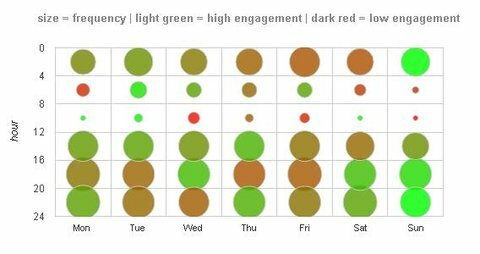 This data helps you measure engagement on a given day. In the example below, Wednesday is the most popular day to post. 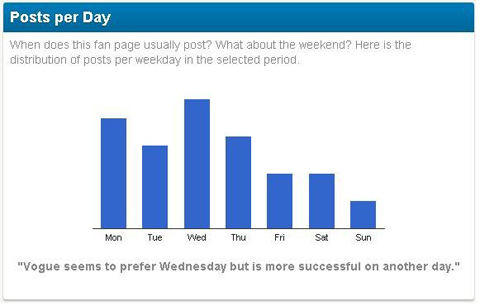 Find out the most popular days for a page to post. Next, find out which time slots provide the best engagement. For this Facebook page, posts get the most engagement on Sunday afternoon, as shown here. Determine which time slots work best for posts. Now look at the data from both charts. The second chart indicates Sunday afternoon is the best time to post. However, the first chart shows the page posts the most content on Wednesday. The key takeaway is that it’s important to post the right content at the right time to ensure maximum engagement. On the Content tab, you can see the page’s most effective hashtags, and which words and topics are used most often in posts. The bigger the words, the greater the engagement. Find out which words or phrases are used most often in posts. Fanpage Karma also shows you where the fans of a page are located, revealing targeted geo-locations. This information helps you determine which locations you may want to target for future campaigns. 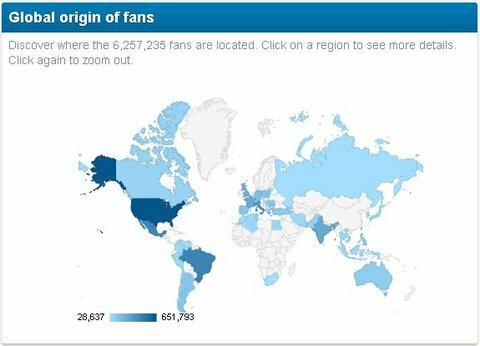 Find out where a page’s fans are located. Another metric on the report relates to service level. How often does the brand respond to questions and concerns from Facebook fans? If the brand tends to ignore posts from fans, those fans may feel that their opinions aren’t valued. 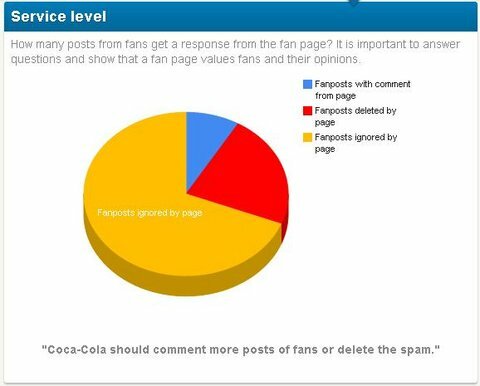 In the chart below, you can see that this brand ignores 69% of fan page posts and deletes 8.5% of them. Remember, if you don’t value your audience, they may not value you. Determine how often a brand responds to posts from fans. These unsatisfied customers are potential leads for you. To find out more about these people, look at the Recent Posts by Others section of the brand’s Facebook page. You’ll also want to look at the ad budgets of other brands in your industry so you can gauge their investment in Facebook marketing. In the chart below, this brand spends 4,424 Euro weekly on Facebook ads. Compare your ad budget to the budgets of other brands. Take a look at how your ad budget compares to other brands. Also compare your reach with this data and revise your ad budget if needed. Twitonomy shows you what’s working for other brands in your industry on Twitter. The tool also lets you track the major interests of other’s followers. After you sign in, enter a brand profile name in the search box under Analyze a Twitter Profile and then press Enter. On the results page, check out which hashtags are working for this brand. Find out popular Twitter hashtags for other brands. Hashtags are clickable, and they redirect Twitter users to a dedicated page. If you want to attract the customers of other brands, use some of their popular hashtags in your posts. Tracking conversations with these hashtags can be beneficial. Participate in some of these discussions, but make sure you provide helpful information. 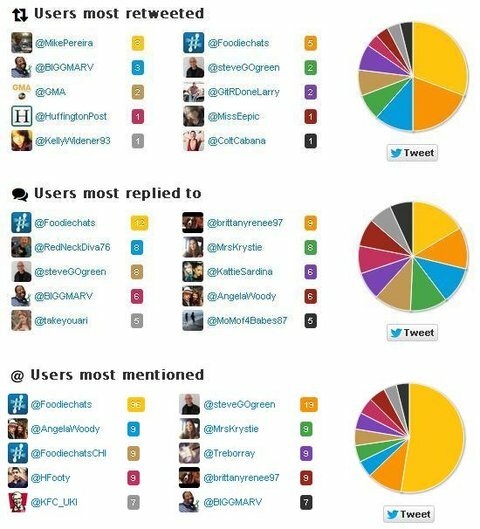 Another metric that Twitonomy tracks is power users, as shown here. Identify which users have the most influence. All three groups of people—users most retweeted, users most replied to and users most mentioned—are important because these are the users the brand interacts with. Visit the Twitter profiles of a brand’s power users and check their influence on their respective communities. For example, @Foodiechats is tops in all three categories above, so this user may be a potential customer for you. To find out more about a user’s influence, look at his or her profile. Find out how much influence a user has. @Foodiechats has 29,500 followers, so if one of your tweets is retweeted by this user, your tweet will reach a significant number of people on Twitter. Similarly examine other top users for this brand to see if any would help you achieve your business goals. Google Ripples is an integrated Google+ feature for Firefox and Chrome users. You can use this tool to find power influencers on Google+. To see the ripples for a Google+ post, first find a post that says Shared Publicly. Then click the drop-down arrow in the upper-right corner of the post and choose View Ripples. Next you’ll see a Google Ripples diagram like the one below. Each ripple represents a public share of the post. The bigger the ripple, the greater the influence. 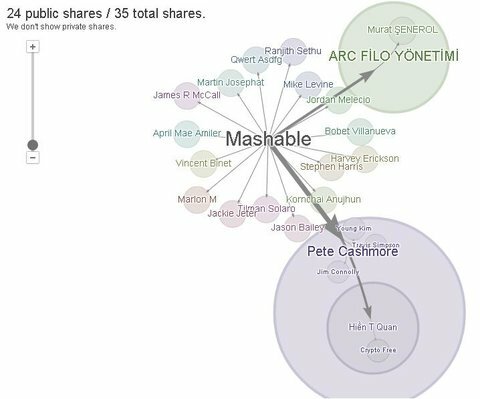 This diagram shows you which users have shared a public Google+ post. For this post, the largest ripple belongs to user Pete Cashmore. Look closely at the shares from his Google+ followers to identify the influencers in his follower circle. Identify the influencers within a follower circle. 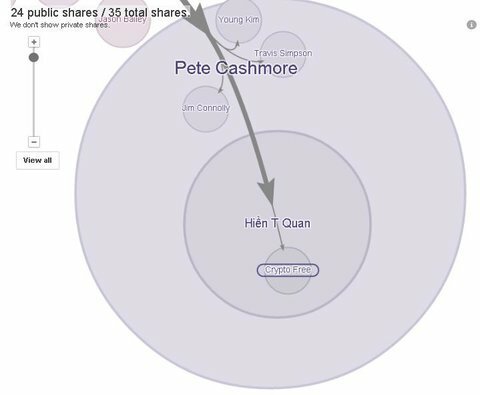 There are four public shares from Cashmore’s post, and the biggest ripple belongs to user Hiền T Quan. The other three ripples are the same size, so for this post, Quan is the biggest influencer in Cashmore’s circle. After you’ve identified influencers, try to connect with them, offer useful information and start building relationships. Now that you’ve gathered some data about other brands in your industry, how do you use this information to help your business? Start by collating all of the data in a spreadsheet. Then try to find patterns in the online behavior of your target audience. For example, do these people share a certain level of education, specific interests, favorite restaurants, hobbies and so on? Create a spreadsheet that contains all of the data you’ve gathered about other brands on social media. Target these groups for future ad campaigns. 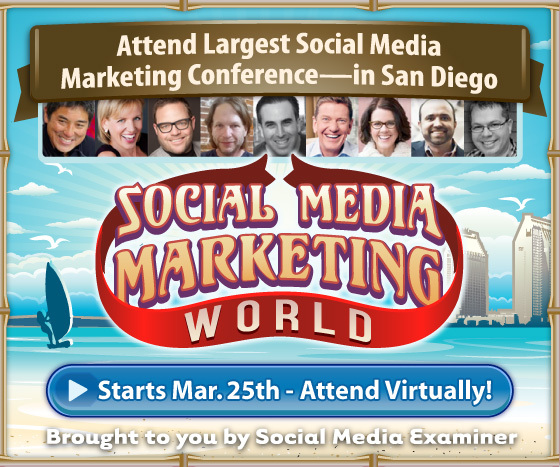 Almost every social network has an advertising feature. Look at your buyer personas and select the networks and targeting options accordingly. Also reach out to potential customers. The easiest way to do this is to identify their pain points and offer a solution. Find out which aspect of a competitor’s service frustrates them. Start connecting but don’t push sell. Today’s online customers are smarter than ever. To attract their attention, your campaigns need to stand out from other brands in your industry and offer something that customers can’t say no to. I recommend that you research what your competitors are doing on social media every three to six months. Although this can be time-consuming, it’s well worth the effort. What do you think? Have you researched what’s working for other brands in your industry? If so, how did you use this information? What tools do you use to research your competition? Please share your thoughts in the comments below. 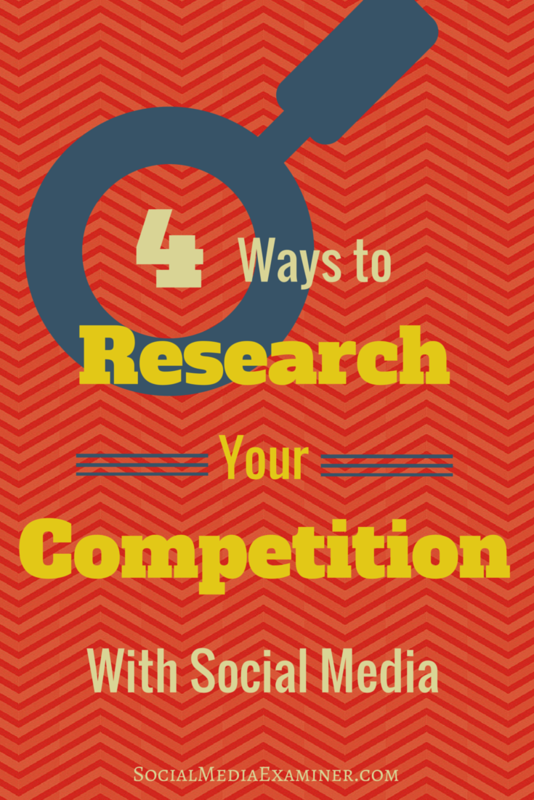 Tips for researching your competition on social media.